Kwa Zulu Natal's Central Drakensberg can be reached by branching off the N3 at the Bergville and Winterton off ramps between the towns of Harrismith and Mooi River. Extending over approximately 350 kilometres, the Drakensberg Mountain Range is one of the Province's major tourist destinations. With its peaks reaching an average height of 3000m, it is an area of scenic grandeur. The Drakensberg or "Dragon Mountains" were inhabited for centuries by the San Bushmen, and Giant's Castle in the Central Drakensberg boasts some of the areas most impressive displays of San Rock Art. 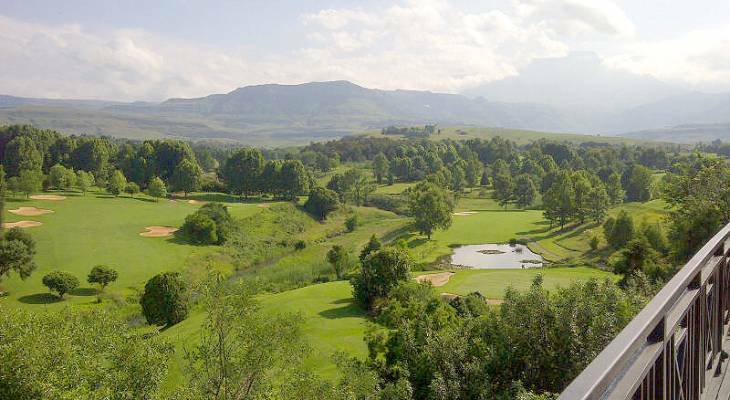 The Champagne Castle Region with its fresh mountain air, numerous holiday resorts and beautifully tended golf courses is a popular weekend getaway for visitors from both Gauteng and Durban. The world renowned Drakensberg Boy's Choir has its home here in the Champagne valley area of the Central Drakensberg. Excellent accommodation is available in the Central Drakensberg, either at one of the resorts or in private hospitality establishments. Central Drakensberg overview. Central Drakensberg Accommodation and Information.